1.The shunt is mainly composed of manganese copper sheets and copper joints. 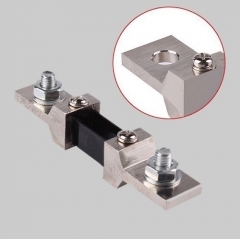 There are two sets of terminal buttons on the connectors at both ends of the shunt: The outer set is the potential end button for connection with the power line, and the inner set is the potential end button for connection with the measuring instrument. 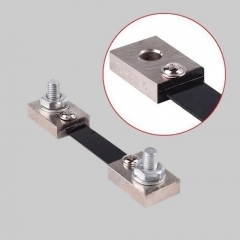 2.The accuracy of the FL-2 series shunt is:0.5, the specification range is: 1A~15000A, and the conventional use is 75mV. 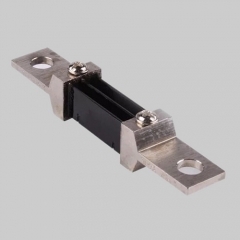 Uses: Fixed-type fixed-value shunt is an external shunt, suitable for measuring DC current below 10kA directly on panel meter and used to expand DC current measurement range, or can be regarded as current in sequential circuit. 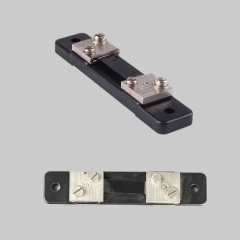 The standard resistor used for sampling, the sampling voltage can be regarded as the simulating signal of the primary current used for measurement. (1). Accuracy level: 2 ~ 4000A: accuracy 0.5. 5000 ~ 10000A: accuracy 1.0. (2). Environmental conditions: -40 to +60 ° C, relative temperature ≤ 95% (35 ° C). (3). Overload performance: rated current 120%, 2 hours. (5). 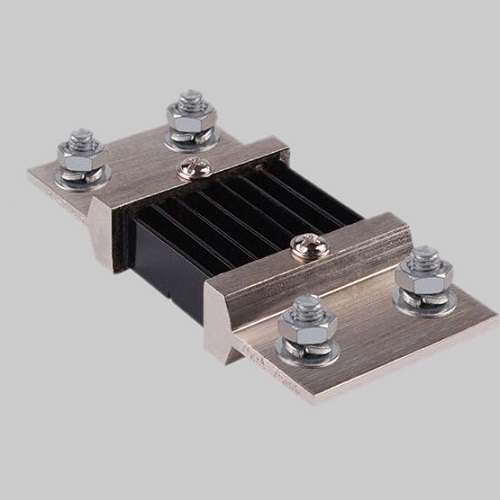 Heat under load: After the temperature rise changes to stabilize, the rated current does not exceed 80 °C below 50A; the rated current does not exceed 120 °C above 50A. (1). The cable (or copper bar) of the primary circuit of the shunt does not allow artificial contact resistance at the junction of the shunt. The sampling point of the secondary voltage cannot be sampled from the non-sampling point. (2). The actual current used (long time) is recommended not to exceed 80% of the rated current.